The paint is finally going on and it is looking quite smart. I am away for a couple of weeks and Peter Layne will keep an eye on progress. 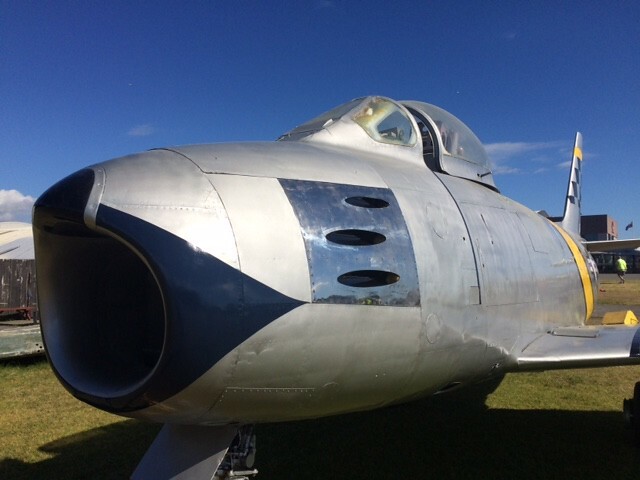 The Sabre is virtually finished and was rolled out of our hangar today into the sunlight for the first time and straight up to the main display area. All of the stencilling is still to be printed out and applied. Hot Diggity Dawg! She looks hot! I'm amazed at how quickly that happened, bravo! Looks fantastic. Superb job, the Sabre looks fantastic! Here is a great series of photos from the National Library's collection of NZ2505 while at Opunake Beach as a playground item!! 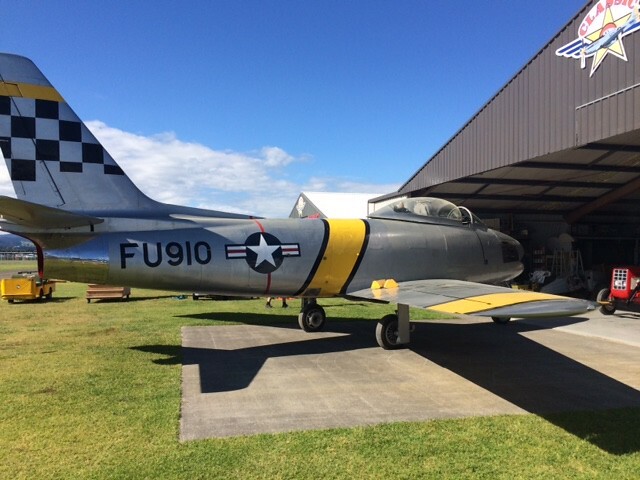 Images show scenes of an old American warplane on a children's playground near Opunake Beach, as well as scenes from a rural road with Mt Egmont (Taranaki) in the distance. Photographs taken in 1965 by Ans Westra. Unless otherwise stated all persons are unidentified. Source of descriptive information - Notes written by Westra and filed with proof sheets. Quantity: 4 b&w original negative(s) 120 strips containing 12 images. 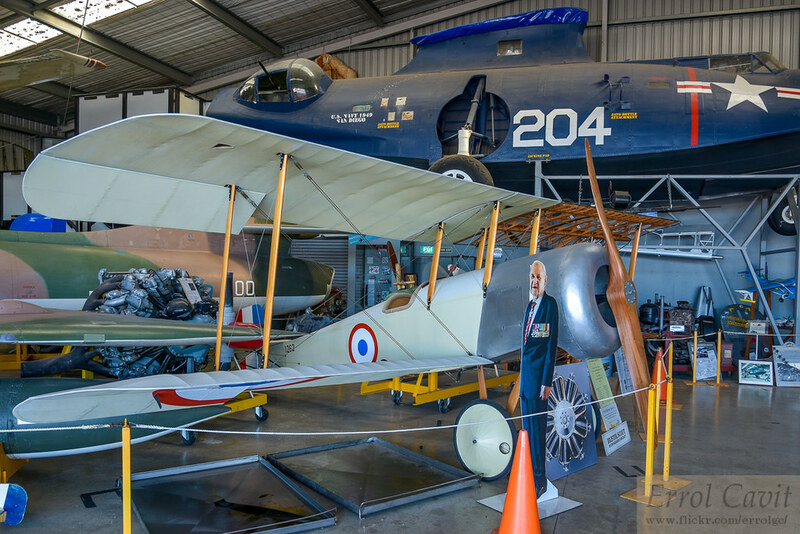 We have been doing a bit of tidy up work on the Jack Godfrey built full size replica of the Bristol Scout. 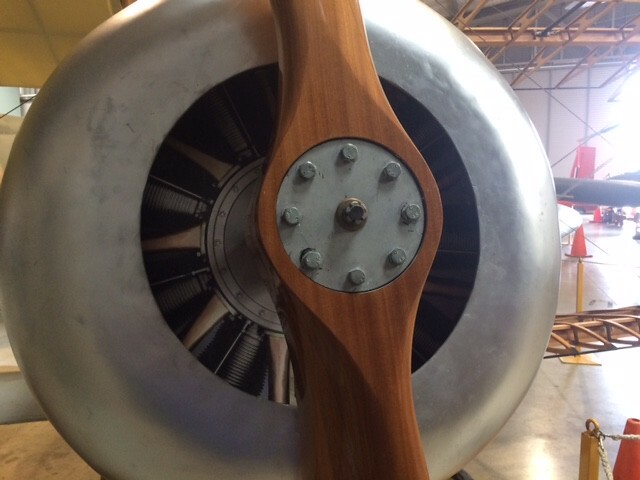 The prop has been rubbed down and revarnished and the full size photocopy of the rotary engine has been mounted on chipboard and mounted into the cowl. 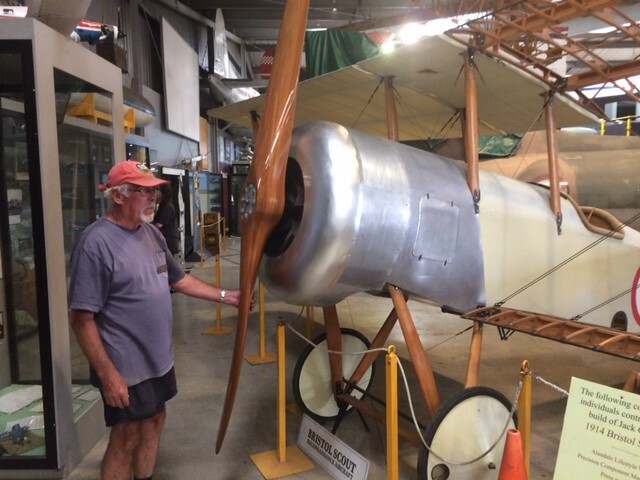 Dave Toms has done most of the work and we reassembled it on Friday. The view inside the cowl now look a whole lot more interesting and lifelike. Dave would it be possible top repost these photos as I can only see the first one of the series or perhaps email them to me so that I can include them with my file. For some reason it looks like the National Library has actually removed the photos. Very disappointing. First I thought, they have cleaned it up then I realised it wasn't at Old Warden. Does it have a number on the side? 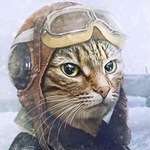 The Rebuilding Grandad's Aircraft people helped with information - I shared my photos and the update with them. 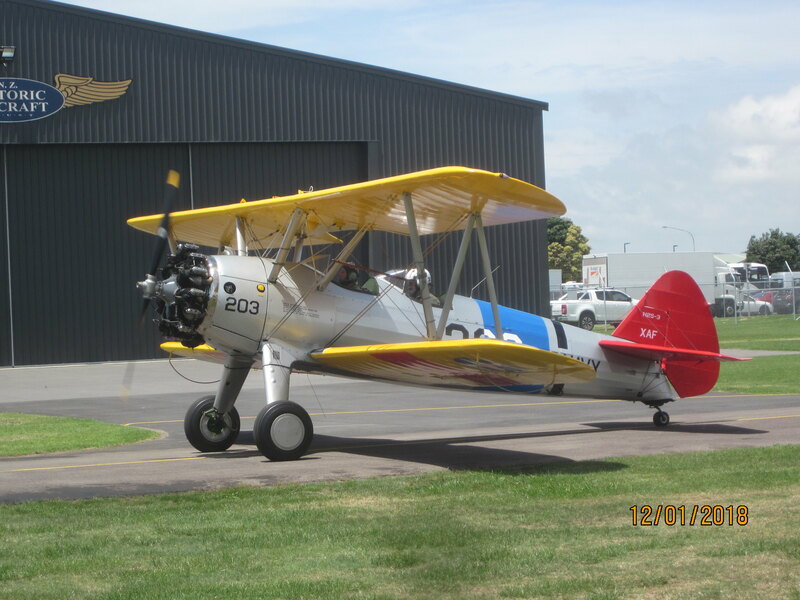 On the days that I have been down at the museum Pete, our resident Stearman pilot, has been busy taking people for joy rides in the aircraft. Pete remarked that on hot days it is nice and cool up there in an open cockpit. 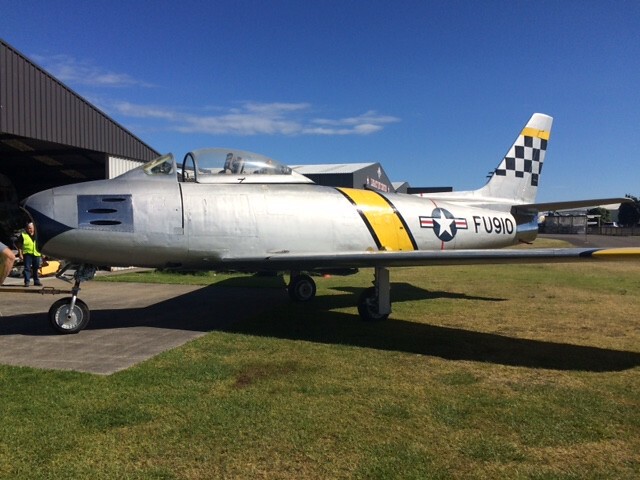 Quote "Another team of intrepid aviation archaeologists (volunteers) - led by Andrew, visited a rural property in Blenheim that has been the "hidden" home to a treasure trove of aircraft parts and in particular a complete ex-RNZAF jet fighter DH Vampire NZ-5751. 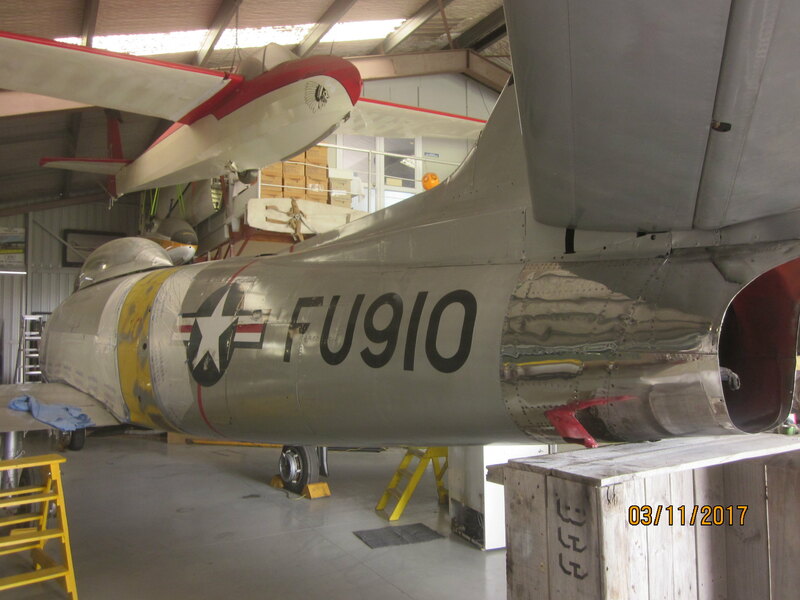 The team spent several days recovering an array of engines and parts along with the Vampire airframe and in the process (at the request of the owner) demolished the old shed that they had been kept in. Shipping containers are now on their way to Classic Flyers. 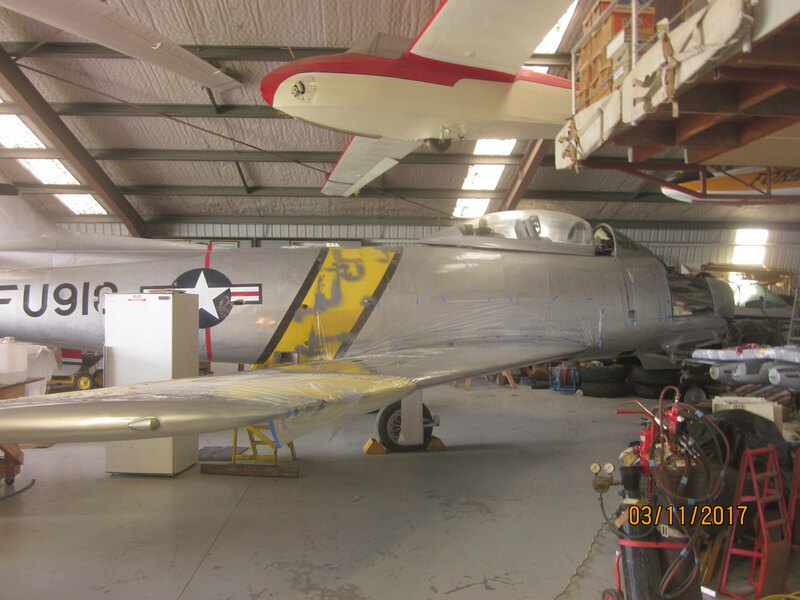 We can't wait to view the contents of this recovery mission for what surely will be another really neat restoration project performed in conjunction with the owners." So I guess that means the often repeated last location of NZ5751 as "To K.Jacobs and D. Subritzky on 03 July 1973. In storage at North Shore, Auckland. ", was well out of date? Andrew broke the news to us at the WONZ Forum Meet and it made for a very exciting start to the day's events! I understand that the 2 40 footer containers from Blenheim are due next week so that will be an interesting exercise for us. As well as the Vampire there are several Goblin engines in the containers and we have started making shelving to put the boxes on when the containers are emptied. As well and the Blenheim recovery mission we have spent several days up at Dwen's helping them to clean out containers of good 'stuff'. A team went up again yesterday and brought back another truckload of goodies which we were greeted by as we arrived this morning. 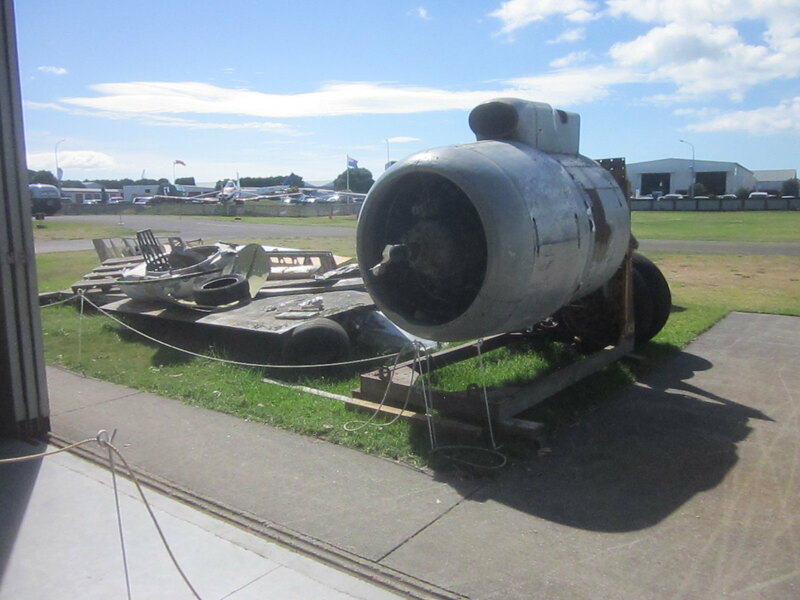 I think we have 4 Bristol Hercules power pods (ex Freighters) plus some cores and heaps of other parts. 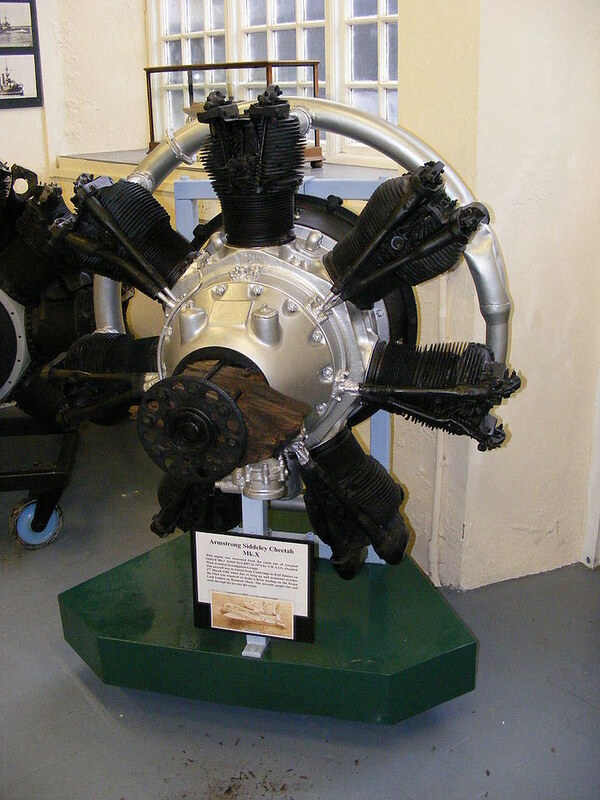 In amomgst the reat was an Armstrong Siddeley Cheetah engine that looks to be fairly complete. 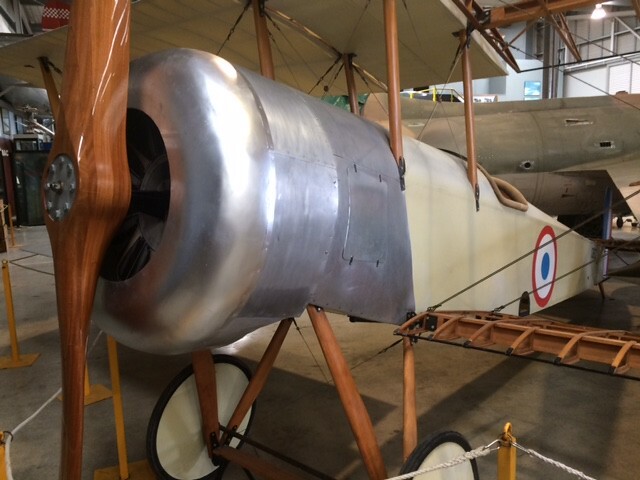 I am not sure at this time which model number it is but I see that they were used on Oxfords, Ansons and the Avro 626. Andrew talked to me about it this morning and asked if I would look after it with the idea of cleaning it up and putting it on a proper engine stand. 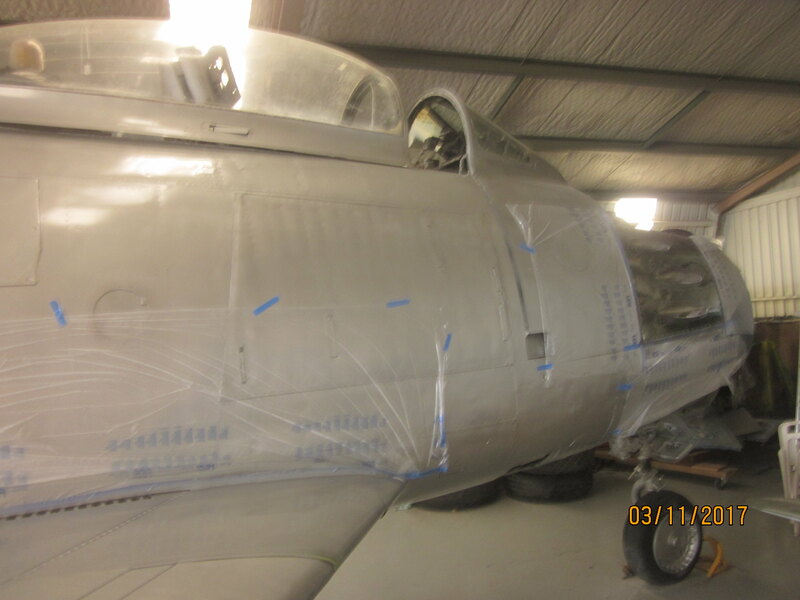 We will give it a good waterblating,tart it up and in due course put it on display in the main hangar. Andrew also mentioned that we might like to look and see whether it might be possible to get it to run. In the running around I didn't get a decent photo of it but found these on line. Whilst looking through the references on the Cheetah engines I came across this You Tube video of a Cheetah IX being restored by a gentleman in Australia and completing the job within 100 days. And they got it running too. 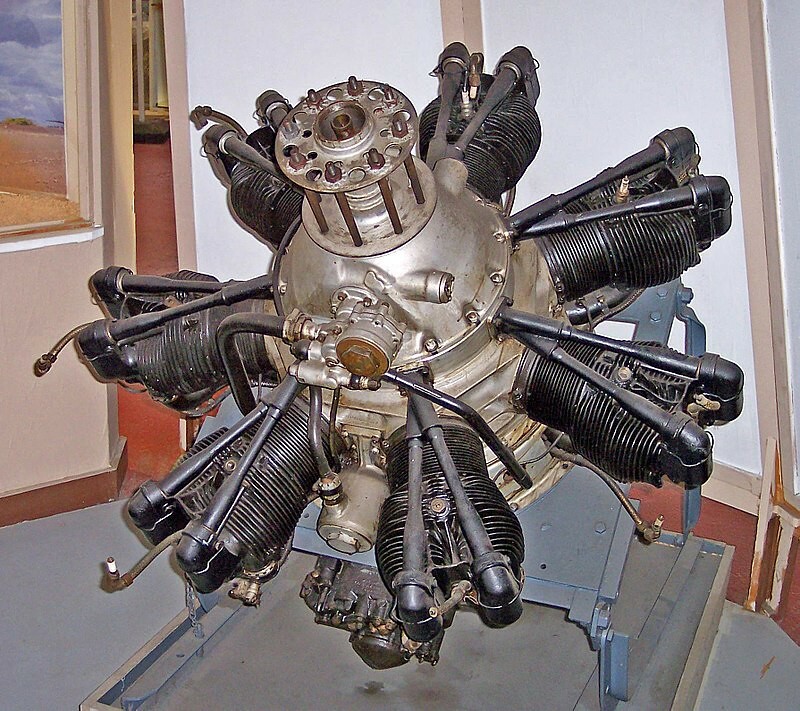 I have been told that the Cheetah engine we have in the hangar came from Blenheim and was in the hangar with the Vampire and the Goblin engines. We are still trying to decipher which engine model we actually have. 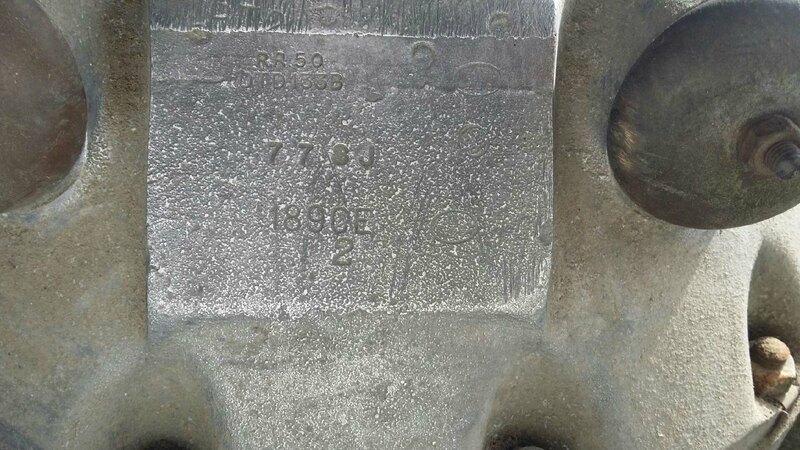 I have been told it will be on the data plate and whilst the crankcase does have an area on it there doesn't appear to have been a plate attached and the numbers stamped into this area don't give us any clues at present. Des took this photo today and we are hoping that someone might be able to decipher what the hieroglyphics actually tell us. 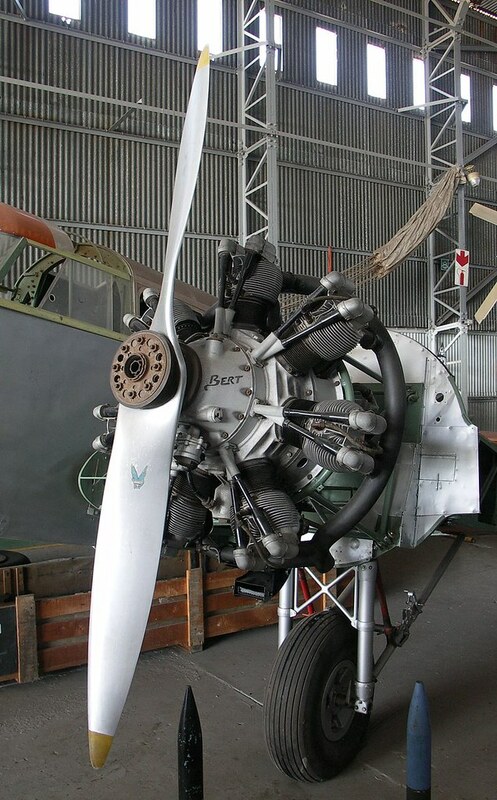 The engine certainly looks like the ones in the photos above but none of the numbers we see look anything like a IX, X or any other designator. Any help here ?? 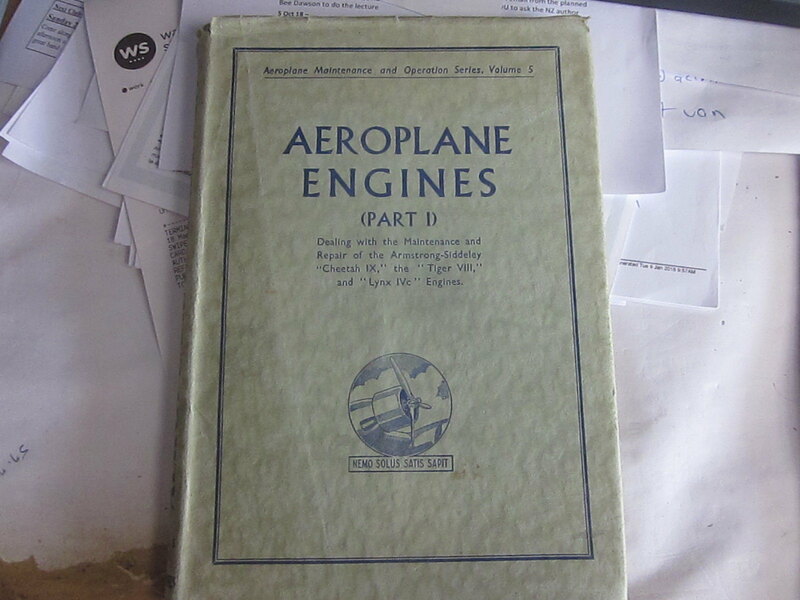 We hade a look in our library today and the first book that we pulled out was entitled 'Aeroplane Engines Part I' from the Aeroplane Maintenance and Operating Series Volumn 5 and by coincidence it covers the Cheetah IX. It was first published in 1940 and our is a reprint from 1942. Guess what my reading is going to be for the next couple of hours. Sometimes you are lucky and sometimes you aren't. I have just been told that some of the cowls from this engine were also recovered and are on their way to Tauranga. 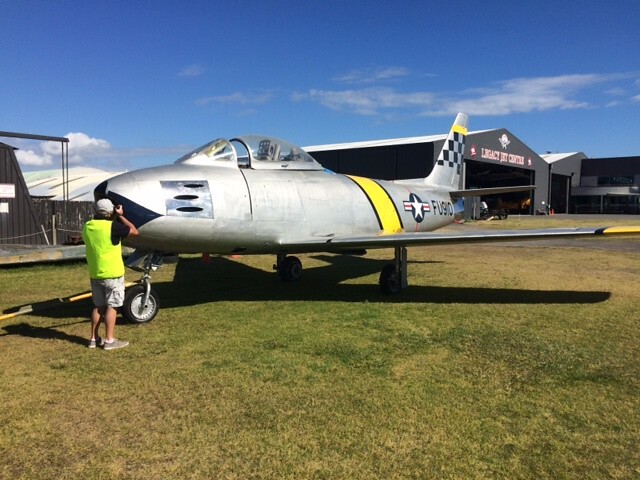 The belief is that this is a Cheetah X from an ex RNZAF Airspeed Oxford. That should help. If this is the case then it should be like this engine when ready for display. The RR50 and DTD133B are to do with the manufacture of the engine case. DTD133 is the spec that deals with sand or die cast alloys and was replaced by B.S L.51. RR50 is the actual composition of the metal and is controlled by Rolls Royce. I have the spec here somewhere. The round and oval stamps will be inspectors stamps and the other numbers are possibly inspectors, or part numbers for the basic part. There should be a data plate on it somewhere, probably riveted on. Might have fallen off. Don Subritzky might be able to help you, he has an Oxbox. 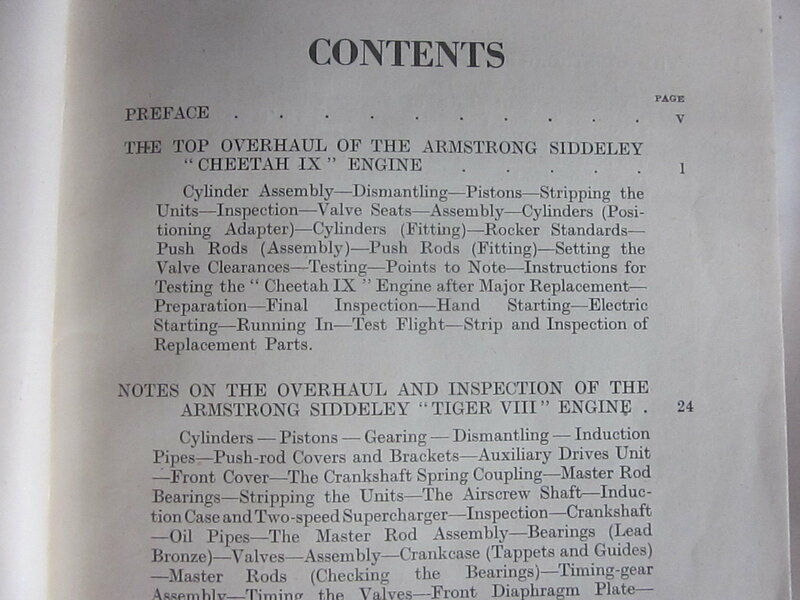 The engine manual for the Cheetah X is AP1526B. Vol 1 covers Cheetah IX, X and XIX (AP1526A, B and D), but the Cheetah X has its own Vol 2 and Vol 3. I don't have any of them sorry. Closest engine manual I have is for the Panther and closest AP I have is AP1564, which is for the Hurricane. So I'm not much help.